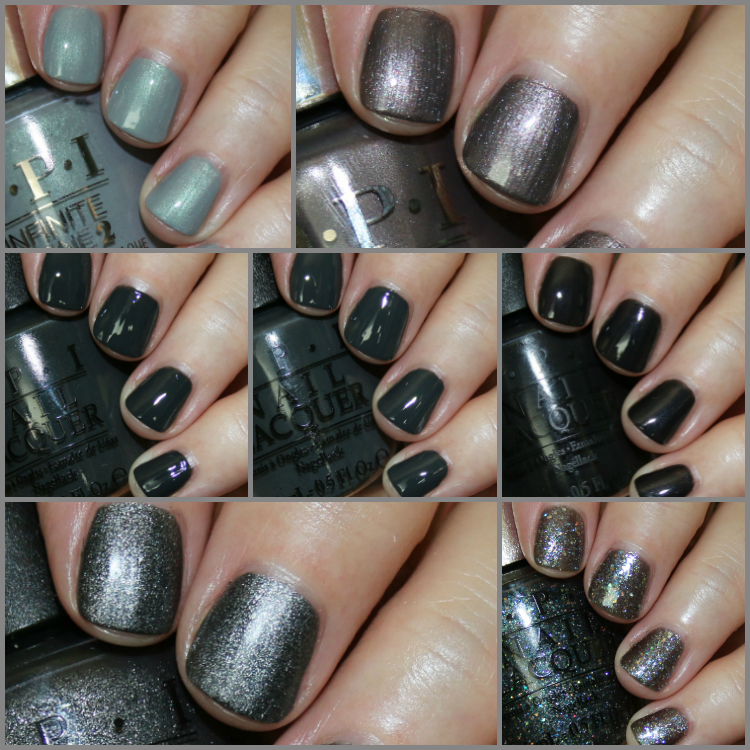 It’s Friday so that means it’s time for My Favorite Grey OPI Nail Lacquer Colors! In case you missed it last week, this is a new series I’ve started where I will share my favorite 5-10 OPI lacquers for each color category. I do plan on continuing the series after OPI with other brands, so keep tuning in! I Can Never Hut Up is a very strange and unique shade and could fit into a couple different color categories. The base skews grey to me so I have it in with my greys. It’s a beauty! Don’t Take Yosemite For Granite is almost a taupe/grey but slightly more grey to me. Super pigmented and pretty. Nein! Nein! Nein! Ok, Fine! is one of three super dark, almost black, grey creme polishes on my list. They look similar but they are all slightly different. “Liv” in the Gray leans a little more green-ish than Nein! Nein! Nein! Ok, Fine! Suzi Skis In The Pyrenees leans a little closer to black than the previous two. It does have very slight shimmer, but it’s basically a creme. Suzi Skis In The Pyrenees Suede is just SO awesome. I love this shade and finish and it’s so pigmented that you can use just one coat. DS Titanium has a grey base and it’s jam-packed with iridescent and silver shimmer. It’s VERY rare that a glitter makes any “favorite” list of mine, so this one is special. 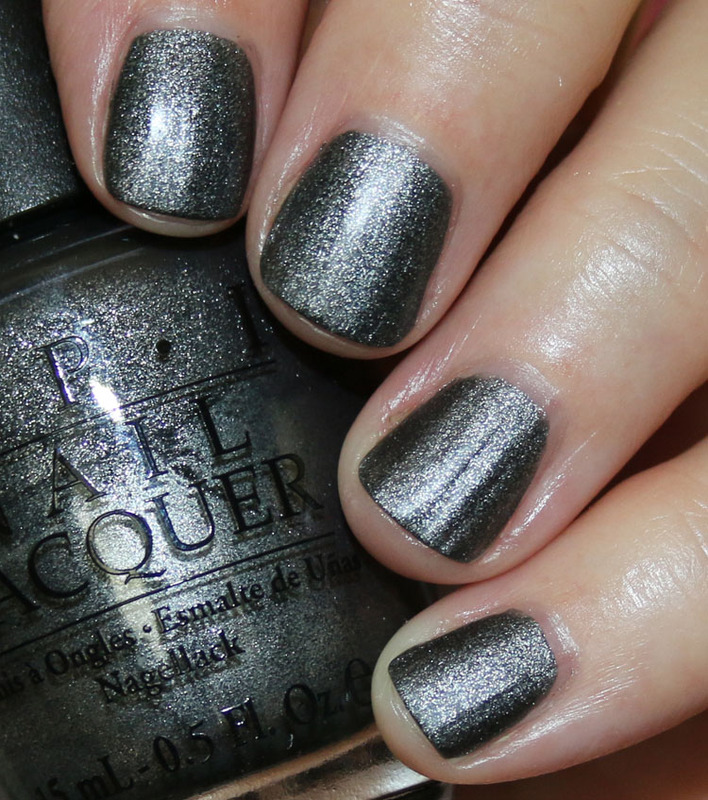 Now I would love to hear what your favorite OPI grey lacquers are, so let me know in the comments! wow! don’t have any of these.. and there are a couple of very nice ones..
‘Don’t take yosemite for granted” was my BIG favorite.. I need it.. it has something that really calls me.. I am sure I will discover many “needs” with these series of yours.. oh well.. what can you do? You don’t know Jacques is my favorite grey. My bff is convinced that it’s a green but I don’t see it. I saw the collage first and immediately knew I needed one—Don’t Take Yosemite for Granite, of course. Which I owned, but then it fell and shattered (unused) 😭. I should have replaced it at the time because I want it more and more all the time. These are all lovely shades! I love I Have A Herring Problem – the colour shifts in different lights, like fish scales, while the subtle shimmer is a shy delight! 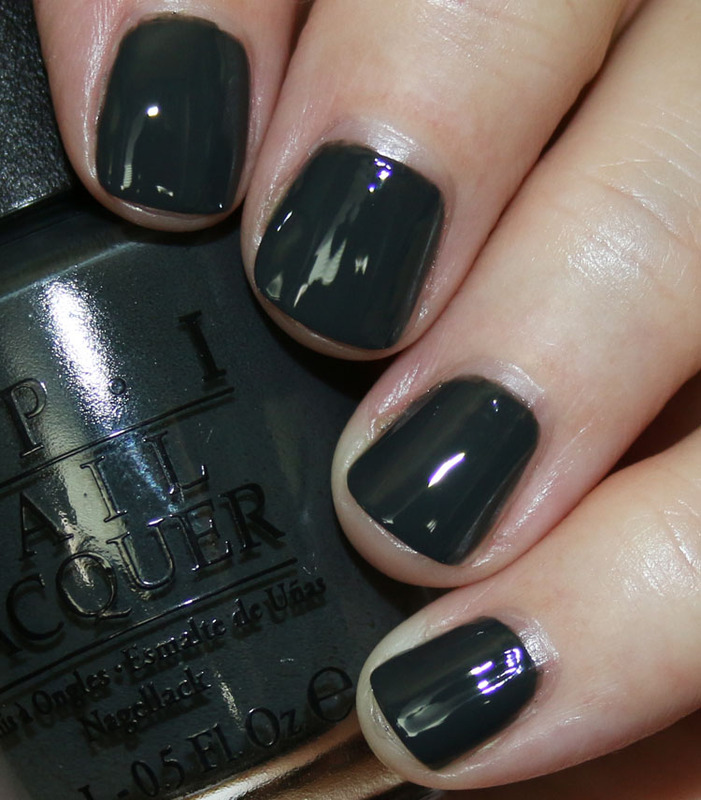 OPI DS Charcoal and Lucertainely Look Marvelous! I love OPI Number One Nemesis (it’s prob not a grey but when I saw the swatches of these I remembered I love it)! I have the Yosemite one, it looks far nicer on than in the bottle. I’ve not seen the first one before …. I like that, might be one to go on my ever increasing “wants” list !